During the summer I enjoy relaxing outside with a good book. I do not always need beach read, although those are great for self-care, I am often happy reading something that will help me in the work I do or help me grow in any way. What types of books to you like to read? As therapists, I think it is essential to keep reading and learning. So pick up one of the suggestions for this month, grab a lawn chair and feel the sun on your face as you read! “The Enneagram and Kabbalah: Reading Your Soul” by Howard A. Addison. This book is about the damage that’s often caused by having had parenting that was emotionally neglectful – and what you can do to heal it. 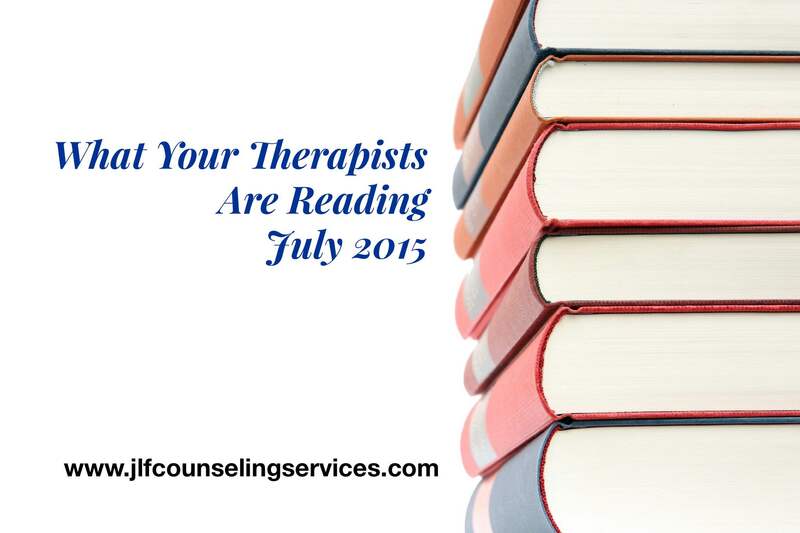 I hope everyone has found some inspiration from What Your Therapists are Reading for their reading list for July. As always, we would love to hear your thoughts on these books so please comment below. If you have a book you would recommend, please email me at jlfcounselingservices (at) gmail (dot) com. Don’t forget to catch up on previous months on the blog as well. We have been doing this all year!